Say happy birthday to a terrific young imprint of Viking: Pamela Dorman Books. I am thrilled to be featuring the amazing list of books published under this imprint in both its debut year and the years to come. The imprint may be just one year old, but Pamela Dorman, the driving force behind it, is a veteran editor. As I've mentioned here before, even if you don't recognize her name, you have certainly read her books, talked about her books, and shared her books. Before I get to the 2010 book list and what to look for in 2011, I'd like to welcome Pamela to Beth Fish Reads and give her a chance to introduce herself and tell you something about the imprint that bears her name. Yes, that’s the title of Virginia Woolf ’s classic, but it is also the way I think of the books that I publish here at Pamela Dorman Books/Viking. I hope that you will find in these books a place you will call your own. For me, the world of books has always been a place of refuge, a sanctuary to which I’ve happily escaped all my life. I’ve been lucky enough to publish some extraordinary debuts—Sue Monk Kidd’s The Secret Life of Bees, Kim Edwards’s The Memory Keeper’s Daughter, and Helen Fielding’s Bridget Jones’s Diary—as well as nonfiction, such as Kelly Corrigan’s The Middle Place. I hope that this imprint will bring you more books that, like those, become word-of-mouth bestsellers, books that get passed on, and talked about, by readers everywhere. In 2010, we launched the imprint with New York Times bestseller Saving CeeCee Honeycutt by Beth Hoffman, now out in paperback, and the critically acclaimed The Solitude of Prime Numbers by Premio Stregao–winner Paolo Giordano, coming in April in paperback. Coming in early 2011 are four fantastic novels: The Poison Tree by Erin Kelly (January) is a brilliant debut psychological thriller about a woman who has everything to lose and how far she will go to protect it. In February, we’ll publish Imogen Robertson’s Instruments of Darkness, a gripping historical country-house mystery and the warm and wonderful paperback original Deep Down True by Juliette Fay, author of Shelter Me. And in April, I’m pleased to welcome major bestselling author Luanne Rice back to Viking with The Silver Boat, a powerful, moving story of three sisters and the journey to their ancestral homeland. I’m proud to be celebrating our one-year anniversary with Beth Fish Reads, and I look forward to, in the words of Humphrey Bogart in Casablanca, “the beginning of a beautiful friendship” with readers like you. Thank you so much, Pamela. I am happy to be featuring your books and authors and bringing more attention to these great titles. I would guess that the vast majority of my readers have fallen in love with at least one of the books (and probably more) you have helped bring to print. Now let's take a look at the first three books published by Pamela Dorman Books. Here's how I discovered this imprint: Earlier in the year, I read, reviewed, and gave high ratings to the first two Pamela Dorman Books before I took notice that they were both published by the same imprint. That made me do some research, and I immediately turned to the third book on the debut list. All three are winners, and one is making it to my top ten list for the year. The Book of Fires by Jane Borodale is historical fiction and centers around a young girl in eighteenth-century England who escapes her farm and home for life in the city. In my review, I noted how the main character came alive for me and how fascinated I was with the technical details surrounding the art and science of fireworks. 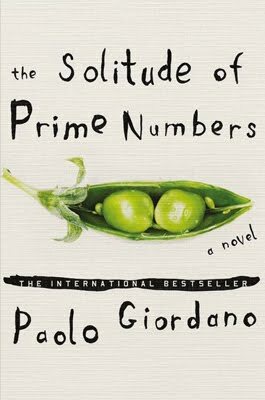 Paolo Giordano's Solitude of Prime Numbers is an altogether different novel. The two main characters each experienced an early traumatic event, which left a lasting mark. When they meet as young teens, they are drawn together, but their relationship is far from normal. Here's a sentence from my review: "As the book jacket reminds us, a prime number can be divided only by itself or by one, and that is exactly what happens to" the two principal characters. One of the best novels I read in 2010 is Beth Hoffman's Saving CeeCee Honeycutt. Is there anyone who hasn't read this gem yet? As I wrote in May, I fell in love with CeeCee and Aunt Tootie, Oletta, and Mrs. Odell. The wisdom and big heartedness of these woman will stay with me for a long time to come. Now that's a powerful way to start an imprint. Over the next few weeks, I'll tell you about the other 2010 titles in the Pamela Dorman Books imprint. Then coming up in the spring I'll introduce you to the next season's books, which include the titles mentioned by Pamela in her letter to you. Be on the look-out for some surprise Imprint Extras. The first one, which has to do with Pamela Dorman's imprint, is so much fun that I'm having a hard time waiting for its unveiling. For more on Pamela Dorman, you can read an article from July 2008 published in the New York Observer and watch a short video about how she brought Bridget Jone's Diary under her wing. For more on the imprint, visit its page on the Penguin USA website, check out its Facebook page, and follow it on Twitter. Oh, and watch this space. Saving CeeCee is one of my fave books, and Beth is a delight. Mom just finished Silver Boat and LOVED it, it'll be a staff pick here when it comes out. A great imprint of wonderful books... looking forward to reading more! Saving Cee Cee Honeycutt and Solitude of Prime Numbers were favorites of mine. Looking forward to more Pamela Dorman imprints. Saving CeeCee Honeycutt is one of my favorites of 2010. Just a lovely novel. Now I'm interested in The Silver Boat. I just looked it up and have added it to my wish list. It sounds so good! You know how much I love CEECEE (and Beth is a delight! ); so happy to see it flying off the shelves in paperback now. Saving CeeCee Honeycutt was the book that caught my attention and made me aware of Pamela Dorman. I was lucky enough to review it for Library Journal. Wonderful debut! There are a couple books on this year's list that jump out at me, so thank you for sharing it, and giving Pamela Dorman time to talk about her books. This is a wonderful imprint! I can't rave enough and I look forward to reading more of them in the upcoming year. I love Pamela Dorman books. This special feature is a perfect fit for you both. I love Pamela Dorman's books and I really like the way she seems to promote female authors. You know I love Beth Hoffman and Saving CeeCee Honeycutt!! WOW ... is this post ever a surprise! I think most of you know how blessed I feel that Pam fell in love with CeeCee's story. She's extraordinarily talented -- a real supernova in the publishing world. Plus, she's a delightful dinner companion. Last February we had dinner together and discussed topics that ranged from antiques, books, interior design, to handbags! What a lineup she has had already! I can't wait to see everything she has in store for us in 2011. I was just sitting here thinking...wouldn't that just be your ultimate goal in life? To have an imprint with your name on it? Ooh, I have a copy of The Poison Tree, I may have to dig it out of the trade show pile since it is a Pamela Dorman book. The Silver Boat sounds absolutely fabulous as well. I loved CeeCee and can't wait to see what comes next from Beth Hoffman. I'm very excited about the Pamela Dorman imprint. Another lover of Cee Cee! I am more aware of imprints because of your feature. Looking forward to more books. This woman made Secret Life of Bees and CeeCee happen? She's a genius! I'll now pay attention to her name on books and look up past and future books. Thanks for clueing me in on the Pamela Dorman imprint. Erin Kelly´s The Poison Tree is a very fine debut. 2010 was a great year for this imprint, and 2011 looks like it will be another for the books. All the titles sound enticing! What beautiful books! And I love the title of The Solitude of Prime Numbers. I'll have to have a look at these! I loved CeeCee! I'm excited to read about the Pamela Dorman imprint. I'm looking forward to some of the upcoming titles. Thanks so much! I've been thinking about this imprint since yesterday and have done a little research. I can't find a list of all the books she has been responsible for. I'd love to go back and read the ones I missed. Any clue as to where I might look? Love this imprint feature of yours! I need to get to The Solitude of Prime Numbers. Happy 1 year birthday! I'm looking forward to reading the books you mentioned. On the list for 2011. The Poison Tree sounds like a really good book. Can't wait. Congratulations on kicking off another great year in the land of imprints! Looks like it will be filled with wonderful books! Wow ... just a year old and already so many accomplishments! You've made me more aware of imprints and I find myself paying attention to them when I look at books.